Arrowhead Stadium is loud as hell. The Superdome has Choppa. Tough call. On Sunday, the Patriots and Rams aren’t just tasked with shutting down two of the NFL’s top offenses — they’ll also have to figure out how to function in two of the league’s loudest stadiums. 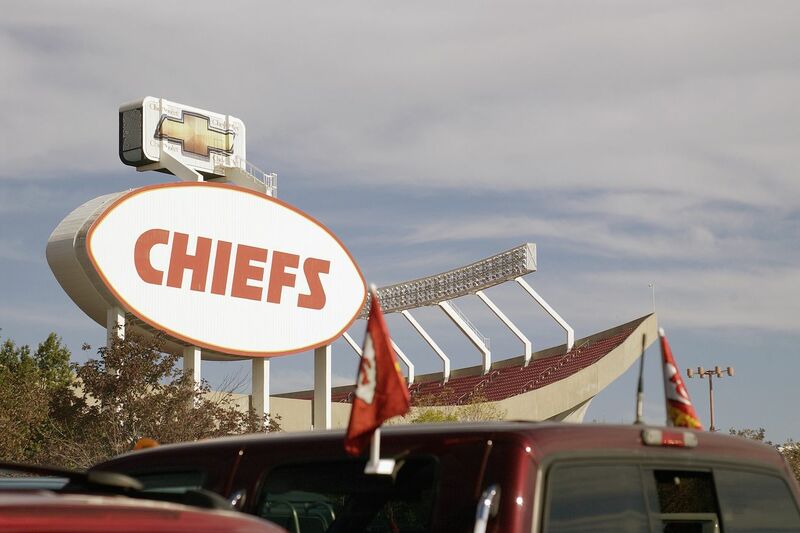 Kansas City’s Arrowhead Stadium will be rocking despite freezing temperatures as the Chiefs host their first AFC Championship Game in franchise history. New Orleans’ Mercedes Benz Superdome is the perfect echo for crowd noise — and now it’s set to host the Saints’ biggest game since 2010. But which team will get the biggest boost on their road to the Super Bowl from their hometown fans? That’s a tough question — especially when you consider how that advantage rattled their Sunday opponents in the past. New Orleans cast off a challenge from the Rams back in Week 9, giving Rams head coach Sean McVay plenty to think about as he plans his return trip to Louisiana. “It definitely forces you to adjust and adapt and it limits your ability to communicate a lot of things that you would be able to do otherwise, if you were at home,” McVay said of his upcoming return to the Superdome. “So, that’s definitely something that we have to be aware of. For the Chiefs, it was a historic night for a different reason. With a Guinness Book of World Records representative present, the Arrowhead crowd crescendoed at an ear-splitting 142.2 decibels in the second quarter. It was a world record for stadium noise, breaking the mark of 137.6 set in Seattle the year before. The crowd’s roar even went beyond the decibel level of a jet taking off from an aircraft carrier, which a Purdue University study found to be around 130 decibels. The Patriots have endured plenty of roster turnover since then, but key parties like Bill Belichick, Tom Brady, James White, Julian Edelman, Rob Gronkowski, Dont’a Hightower, and Devin McCourty are still with the franchise and will have that memory fresh in their minds Sunday. So if you were taking the field for a playoff game with one of these rabid fanbases behind you, which would you choose? Not only do the Chiefs have a stadium as loud as the deck of an aircraft carrier on their side, they’ve also got the weather. Sunday night’s playoff game won’t be the frigid affair that once mystified Larry King, but a 20-degree evening is still an unkind welcome to the city of blues and barbecue — especially if your quarterback happens to be a 41-year-old supernova who owes his longevity to flexibility. Kansas City already played through the cold and snow to greedily chew up the Colts’ fairy tale ending to the 2018 season, proving it can gash opponents on the ground in inclement weather just as efficiently as it does through the air. It turns out Patrick Mahomes can crush you with his legs just as easily as with his arm, which isn’t entirely germane to the debate, but is equal parts impressive and useful when it’s so cold out your 1991 Toyota Camry refuses to start. Then you’ve got the crowd, which will be absolutely out of its mind on hot chocolate and peppermint schnapps (or Irish creme, or cinnamon whiskey) in the biggest postseason game ever played in Kansas City. This crowd was so hyped up to beat the Colts last week that fun dad Andy Reid had to admonish his fans for throwing snowballs. You think they’re going to get less churlish when the Patriots — the team EVERYONE outside of New England hates — come to town? Nope, Arrowhead Stadium is going to be a 90s Woodstock-ian mess Sunday night. The ‘94 version if they win, and a less-assaulty ‘99 version if they don’t. Everyone there is going to be at least half a mess and it’s going to be glorious. The 2019 AFC Championship Game will set the unofficial record for “most mini bottles of Fireball swept up after a sporting event,” and that’s going to make it one of the toughest places for a visiting team to play in NFL history. Drew Brees and the Saints’ offense are just unstoppable at home. This season, the Saints only lost one game at home with Brees at quarterback — a 48-40 loss to the Tampa Bay Buccaneers in the first week of the season. At home, Brees has throw for 21 touchdowns and just one interception in the seven home games that he played. He’s also completed 76.3 percent of his passes and averaged 9.6 yards per attempt in those home games. As a tandem, Drew Brees and Sean Payton are 6-0 in home playoff games. Along with the Saints’ offense just eviscerating defenses at home, the Superdome is one of the loudest places to play in the league. This Sunday, Saints head coach Sean Payton is asking for Saints fans to bring the noise as they play in the NFC Championship Game against the Los Angeles Rams. During the Saints’ Divisional Round game against the Philadelphia Eagles, the Superdome got so loud that it even started making the press box start shaking. They’re now playing Choppa Style and the Superdome is rocking. Cameron Jordan getting down on the sidelines, as is Demario Davis. The press box is shaking. Pairing the Saints’ home offense with a hellacious home crowd makes this not only a tougher place to play than Arrowhead Stadium, but arguably the toughest place to play in the entire league.